…I mean, it’s a typeface. A bloody typeface! Things happen in that slow downtime between a reveal and a follow-up. The fandom gets cranky. There is a clamoured cry for new information, a grumbling in communities about when we’re going to get to see new footage or get plot details, tempered with a general sense of annoyance when they actually arrive because I didn’t want to know anything about the new series and why are you dropping all these spoilers in here? Whether the news dripfeeds in via convention soundbites or fan theory rendered flesh, either there’s too much information or not enough. The poor old BBC, it seems, can’t seem to do right for doing wrong. And then last night we had fresh information. Well, a logo. It’s accompanied by an image of Jodie Whittaker standing on a hill. There is a sixteen-second audio ident going viral on YouTube. None of it is anything to write home about. But pity us poor journalists. Sometimes you have to keep the hit counters up even when there’s bugger all to actually discuss. There is a saying that no news is good news, which is true for just about everyone except the people who get paid to write it. It didn’t take the Radio Times long to jump on the bandwagon. Not content with publicising fan-generated titles a few weeks ago (I’m not linking to that; it’s a matter of principle), they decided to apply a little creative thinking to the new logo and point out the rather obvious-looking distortion in the last two letters of the words ‘Doctor Who’ that make it look like a Venus symbol knocked on its side. So, you know, obviously it’s a woman. For my part, I am getting Prince flashbacks. To be fair, it wouldn’t be the first time. Long-time readers of this blog may (but probably won’t) recall a thing I wrote a while back entitled The Art of Looking Sideways, in which I talked about whether or not we could really say that Theta Sigma was the Doctor’s real name and concluded that it almost certainly wasn’t, but that there was a cheeky jibe by the production team when you shift round some of the components. It’s a precursor to Peter Capaldi’s appearance in World War Z, in which I’m told he plays a scientist at the World Health Organisation. He is quite literally Doctor Who. Just don’t tell the noobs; they get really irritable when you try and tell them it’s an acceptable name. 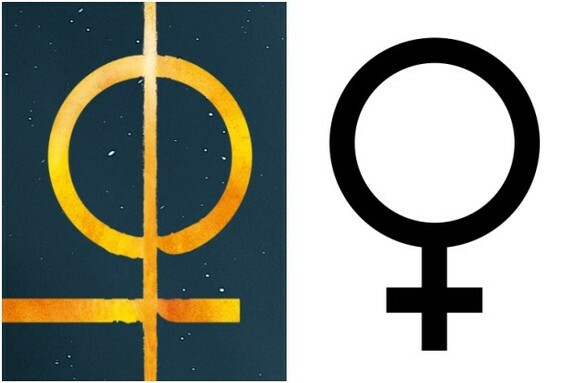 I was in one of my more sensible groups and we were discussing the Venus thing and its connections with Theta Sigma – a theory one of us said he hoped wasn’t true, because “then the nerds had won”. Regular readers will also be aware that I run a series called God Is In The Detail, which pokes light-hearted fun at fan theory to the extent that whenever I post any links to it on Facebook, Poe’s law goes into overdrive and everyone starts telling me I have too much free time (which is probably true in any case, but still). Anyway, that’s the vibe I had in mind when I produced this. And I’d just like to point out that as soon as it was uploaded, I went outside in the garden to play with Edward, so I do get out occasionally. There. Stick that in your pipe and smoke it, Radio Times. Lol. RTD. Russel T Davies.